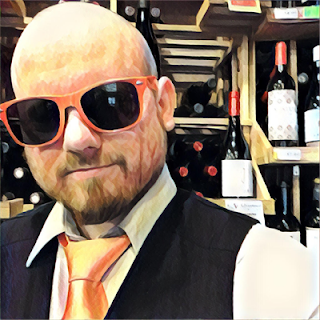 Ferrari-Carano is one of those wineries that is always producing excellent wine, and I have yet to find a wine produced by them that I didn’t enjoy. Most of them I even admire. 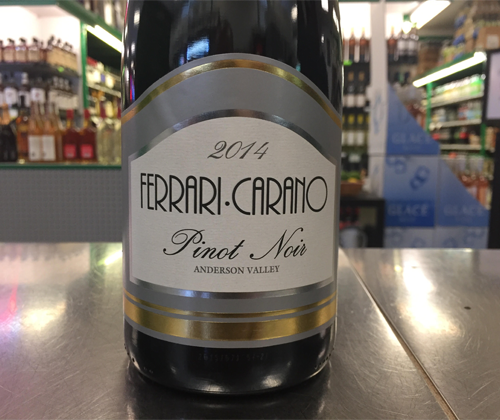 The Ferrari Carano winery is located in Dry Creek Valley of Sonoma but their 2014 Pinot Noir is from up north a bit in Anderson Valley, within Mendocino. It was fermented in small-macro bins and cold soaked for three days, with malolactic fermentation completed in 100% French oak and further aged for 10 months. The color of the wine is garnet, heading in the direction of brick. There’s aromas of raspberries, cherries, lilacs and incense. It’s medium bodied with silky tannin and a bit of heat from the 14.4% ABV. Juicy plums, cherries and raspberries are bursting on the palate, along with the complimentary flavors of cloves and toasty oak. It finishes silky smooth, and with the lingering flavor combination of fruit, earth, and pepper. This is quite the expressive Cali Pinot Noir! Pair with plank salmon, roasted meats, and grilled seasonal vegetables.